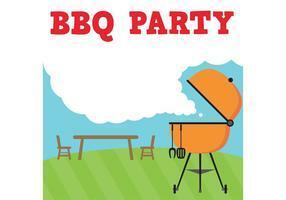 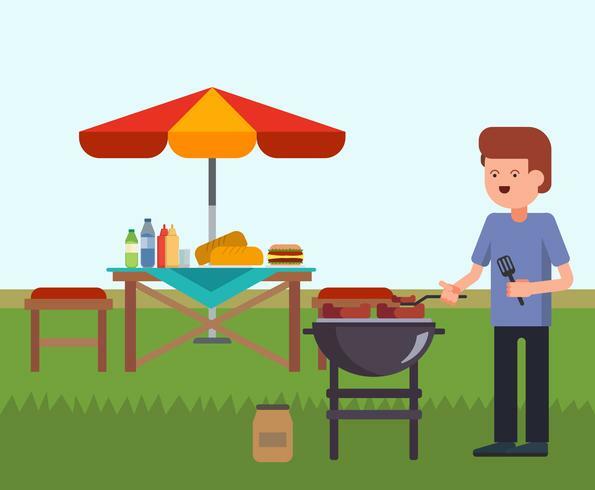 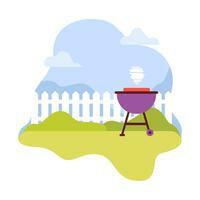 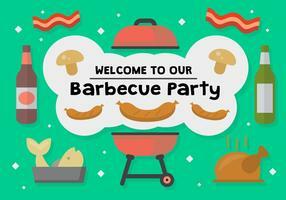 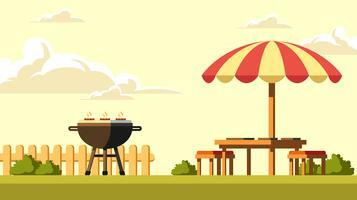 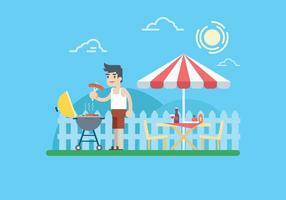 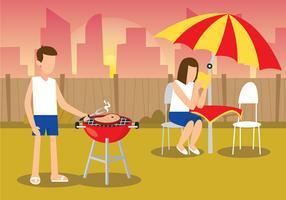 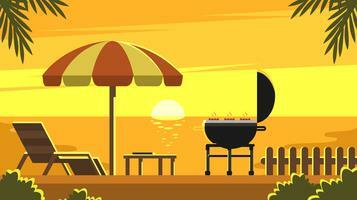 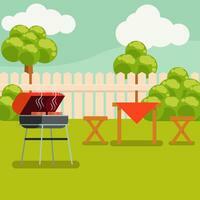 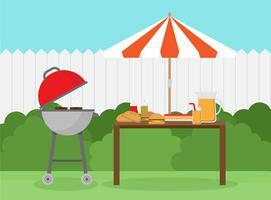 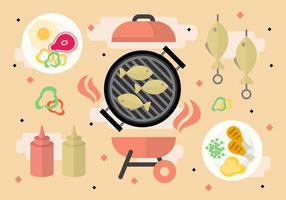 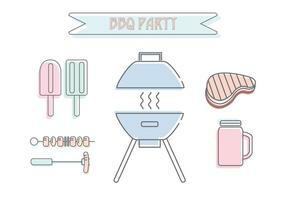 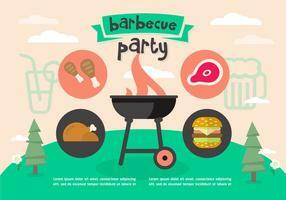 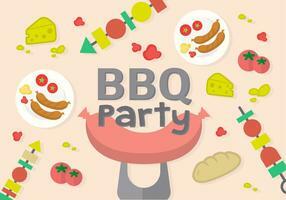 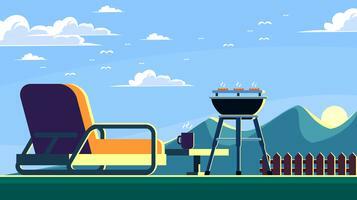 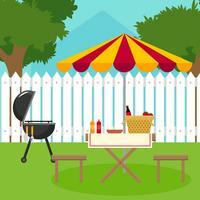 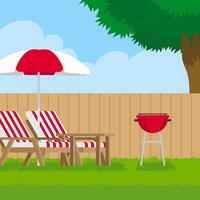 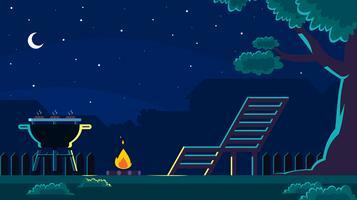 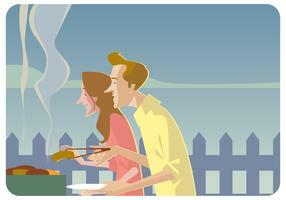 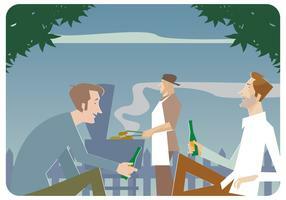 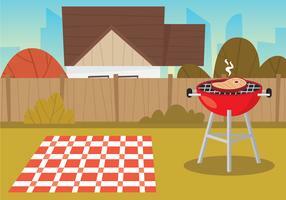 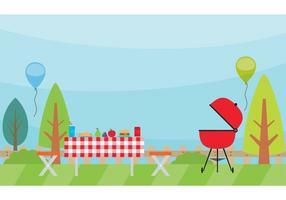 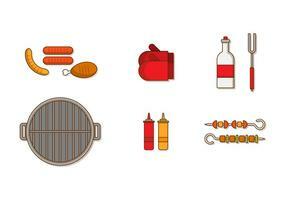 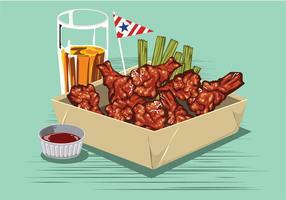 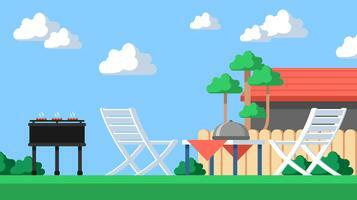 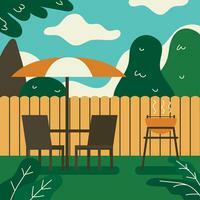 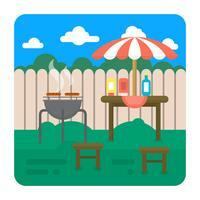 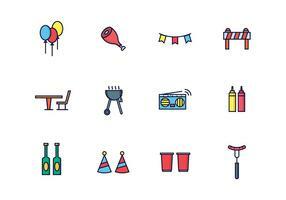 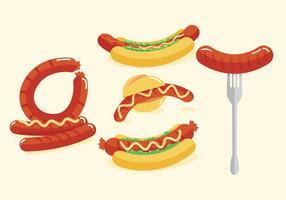 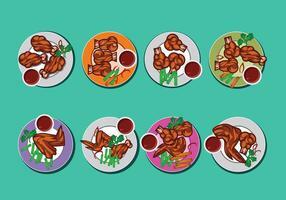 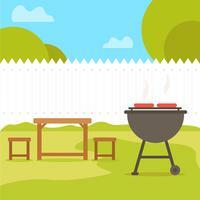 Illustration set of small BBQ party held in the backyard of a house. 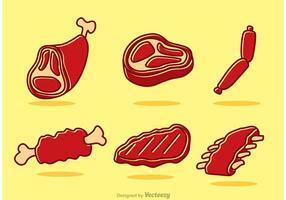 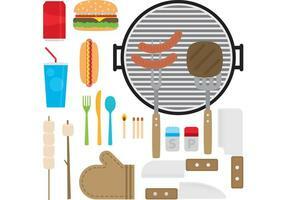 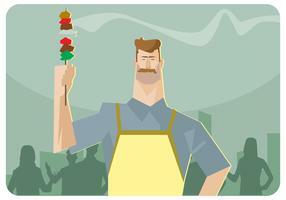 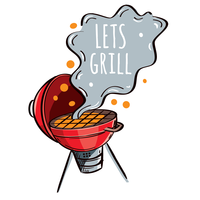 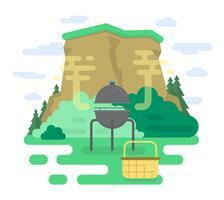 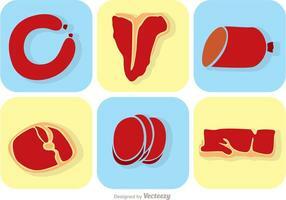 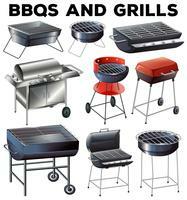 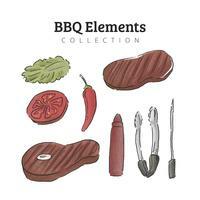 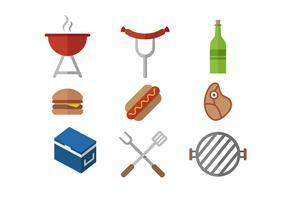 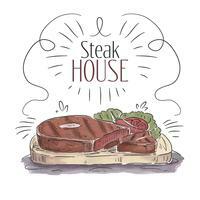 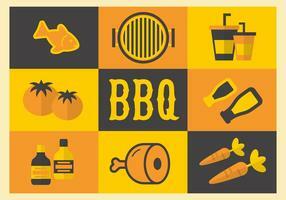 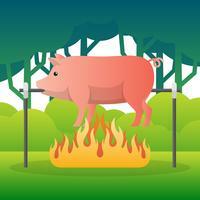 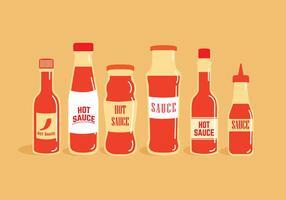 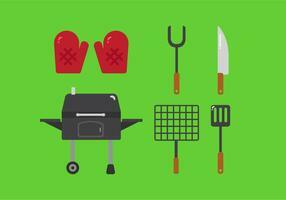 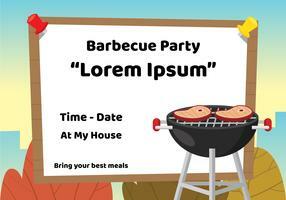 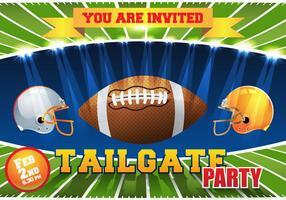 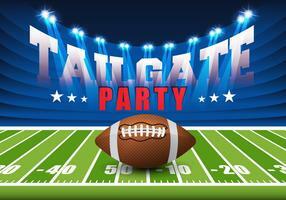 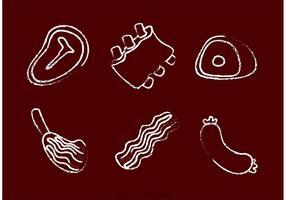 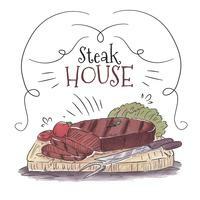 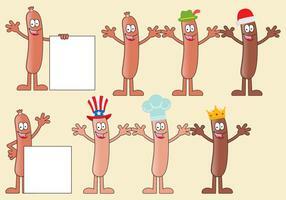 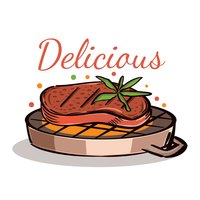 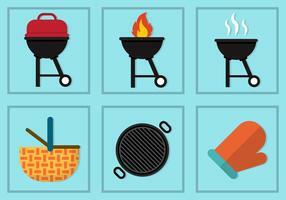 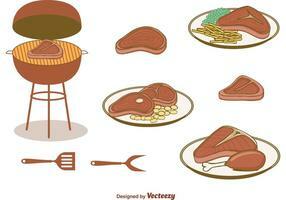 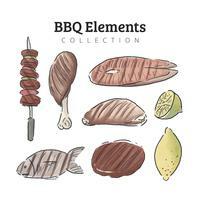 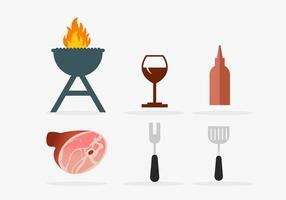 It's in vector format and a character grilling meat is included. 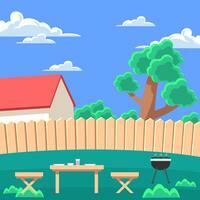 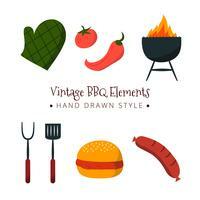 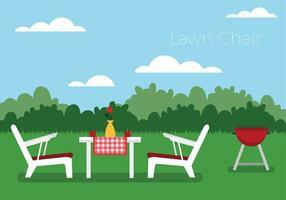 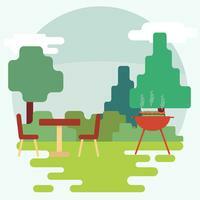 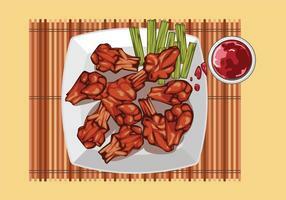 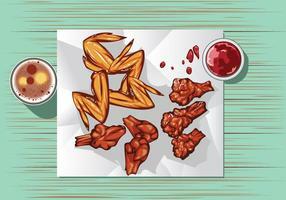 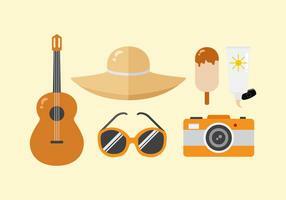 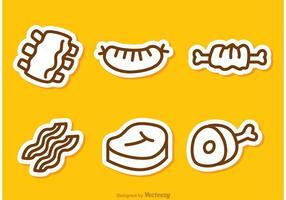 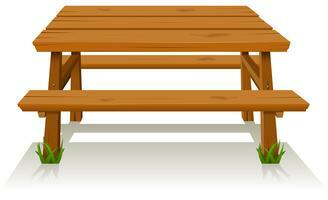 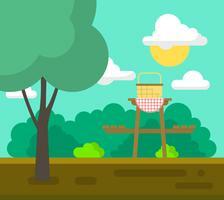 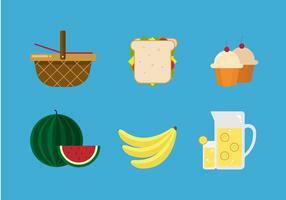 This set can be great as illustration that needs leisure activity theme, or picnic scene.